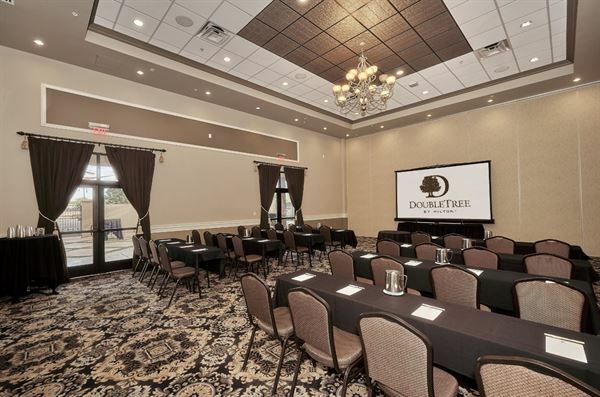 The Ballroom boasts over 10,000 square feet of dedicated meeting space, divisible into 7, column-free meeting rooms, accommodating as little as 10 to as many as 950 people. The center of the Ballroom opens up to a grand barrel arch 30 feet high. From General Session to lunch and afternoon breakouts, the simplicity and flexibility of our meeting space present you with a myriad of options. Each room is outfitted with the business and presentation tools you need to make your event successful. If you can envision it, we can make it a reality, from lavish themed parties to sleek business environments. The moment you confirm your group at San Tan Elegante, a dedicated Catering/Convention Service Manager (CSM) is assigned to you. Your CSM will guiding you through your program planning, start to finish, and assisting you with everything from meeting room set up, menu selection, rooming list, audio visual needs, and VIP amenities. They can help you find entertainment, keynote speakers, and point you to partners who can fulfill your décor, transportation and other production needs. In short, their job is to do whatever it takes to ensure your meeting is a complete success. However, the praise for a remarkably rewarding program is all yours!